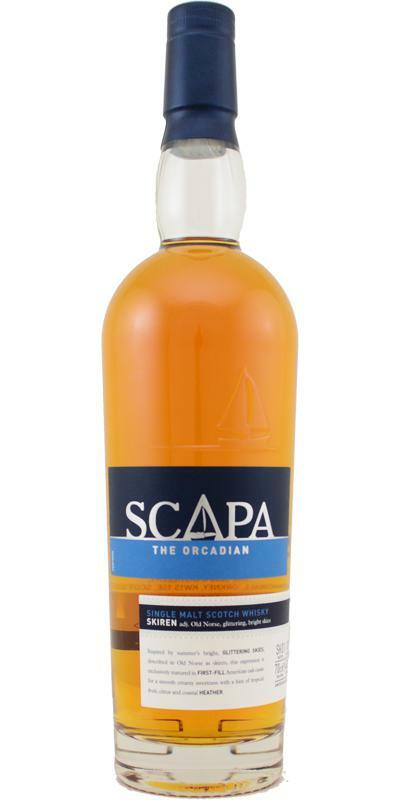 Here’s a party trick, make a whisky that on initial tasting really gets the nogin jogging and the tastebuds firing on all cylinders but after a short while settles down to become a rather forgettable and mundane dram. How’s that possible? 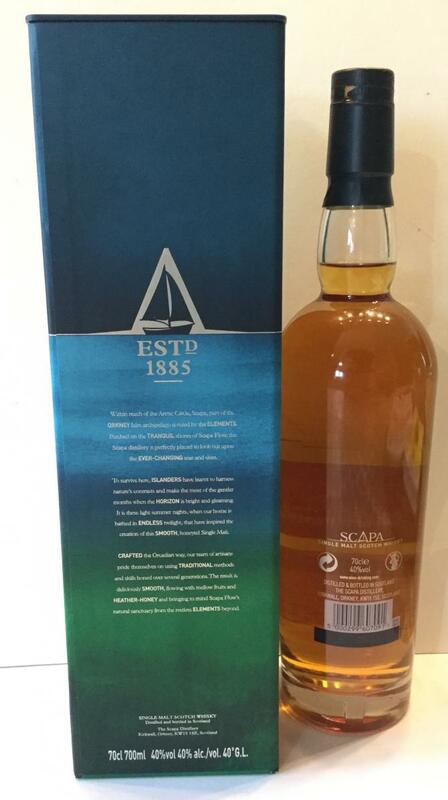 This is the first Scapa I’ve ever tasted and I have to admit, I was expecting something more characterful and interesting. The first few glasses delivered that, there’s all sorts of things going on in the glass (ignore the nose, it’s pretty but mundane), lemon rinds, altoids, fresh oak, some kind of orange oil way off in the background, vanilla and pepper. And then something changes. I’m not sure what happens but it becomes rather dull and uninteresting. It’s not a bad whisky by any means but you get this distinct feeling that you’re drinking something without a discernible identity. It’s the kind of scotch to drink because you have to because it’s that or Bell’s, rather than you want to. However, I won’t be deterred. 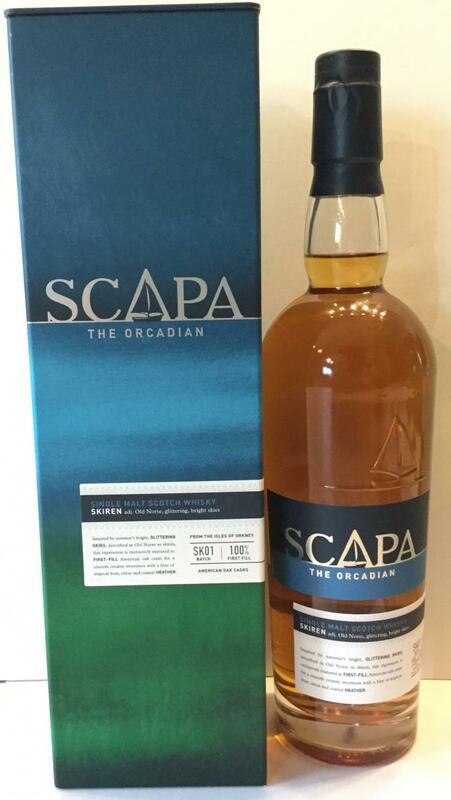 This rather average NAS could very well be the worst thing Scapa do! Here’s hoping. Solid. Pretty interesting. 73 points! Grassy. Met from an oak barrel. Sweet. Fruit salad. Some kelp. Fresh with honey and oak. Pineapple, apple. Some charred wood. Medium long, sweetish. Honey stays short. Cut, bruised apple parts at first. Also some honey, as well as hints crisp apple cider and lemon peel. It becomes quite farmy after a little while, with notes of barley and straw. A hint of milk chocolate to start, before settling into a very malty territory, with just a hint of lemon, as well as some bitter oak and cloves. Lingering oak-y bitterness, as well as a pinch of salt. N: Mildly sweet, gingery malty>honeyed spirit. T: Arrives fairly innocuously without any dram, developing on a chocolate/maltiness. F: Short/medium finish on sweetish ginger. Doesn’t mind a drop of water. N: Rose water jam & quince jelly, fruity sweets, rose leather, wafer thin sweet light meat, soft and floral. T: Some cardboard for sure. There’s nothing terribly wrong here except that the palate doesnt quite deliver - a little lacking in body. F: Rose water/quince jelly icecream-putty, dry cardboard icecream but some seriously salivating action at the end. Malty quince, a little vanilla. Allright and not to bad at all!